Temperature: 212 Degree F (100 Degree C). Noise Level Range: APV-C 60-75 dBA; APV-I 80-115 dBA. Supply Pressure: 29 to 87 psi (2 to 6 bar). High impact, Linear Force, and efficient energy transfer units assuring the flow of materials through Bins, Chutes, and Batch Weighers etc. Special constructions with exhaust silencers are also available. The ll-steel units are used in continuous duty applications and where long life and high reliability is required. 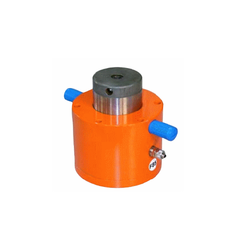 The pneumatic rotary vibrators manufactured by us are known for their superior features. 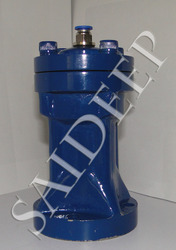 These industrial rotary vibrators are known for their features like high frequency vibration and low noise levels. Highly efficient, the pneumatic rotary vibrators requires minimum or no lubrication. The use of applied vibration has proven effective in a wide range of applications. Most commonly used on hoppers and silos to maintain the flow of materials, Air vibrators offer an economical method of generating vibration when required.